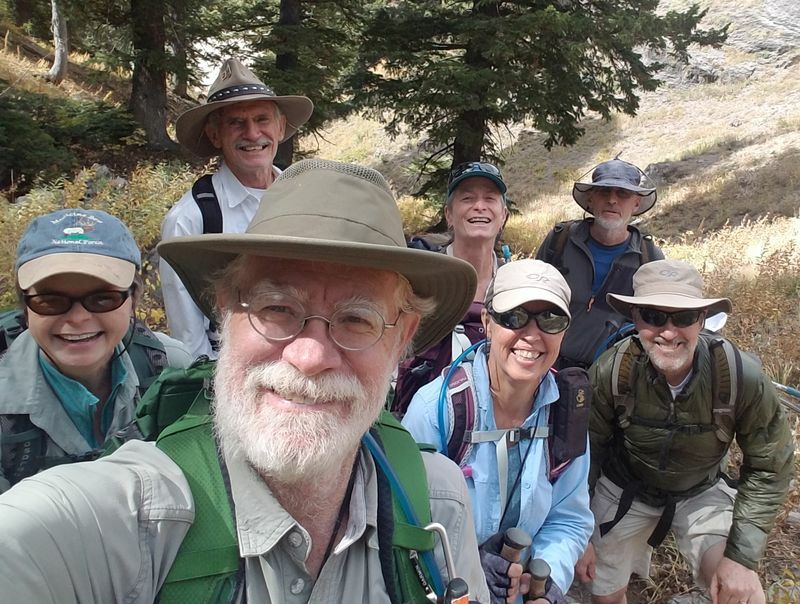 Seven hikers participated in the hike from Smithfield Canyon and Tony Grove, Dave W., Jane, Teresa, Susan, Nick, Jack, and Dan (the leader). We used two cars to enable the "key exchange" planned for this hike. 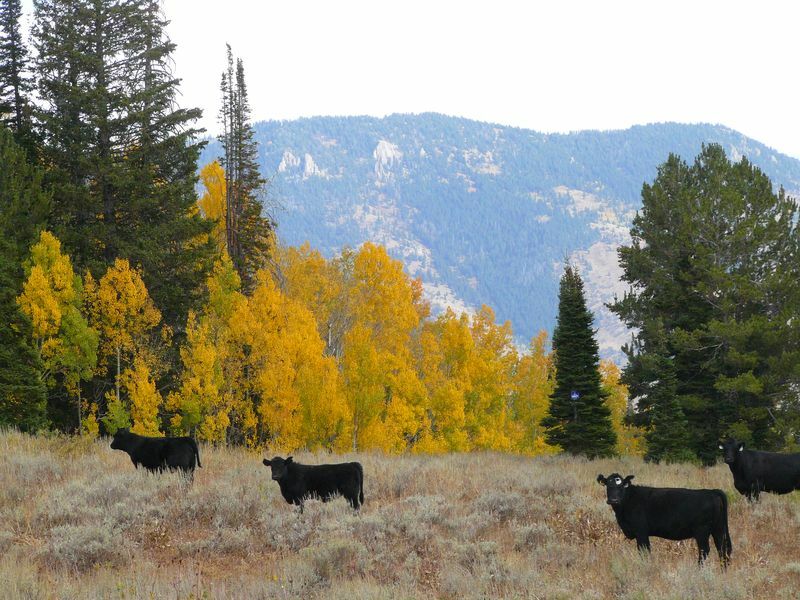 Three people went to Tony Grove in one car and four went to Smithfield Canyon in the other. The Smithfield Canyon hikers, Jack, Dave, Nick and Dan, started hiking about 9:05 a.m. along the cool and wooded trail that follows Summit Creek. 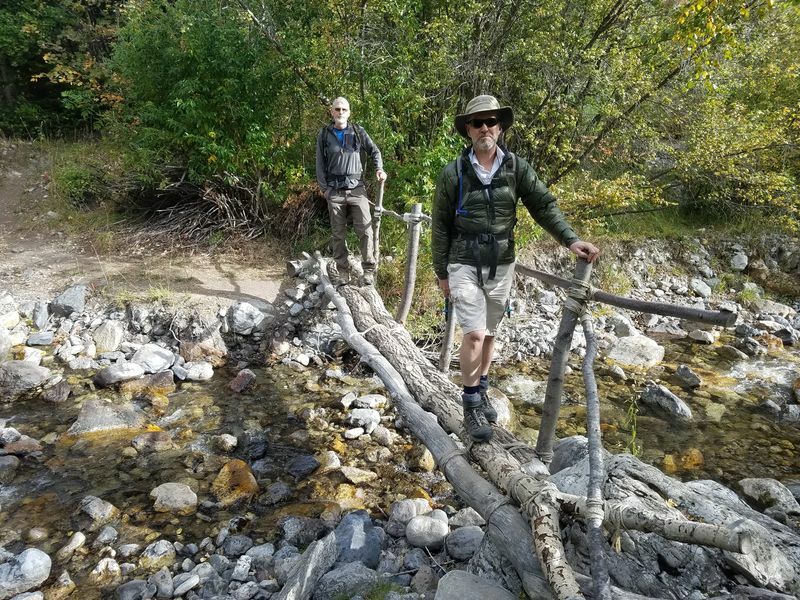 There were several stream crossings featuring a couple of makeshift bridges, with a view of Naomi Peak far above to the northeast and colorful foliage along the way (the maples were bright red in spite of the dry conditions). 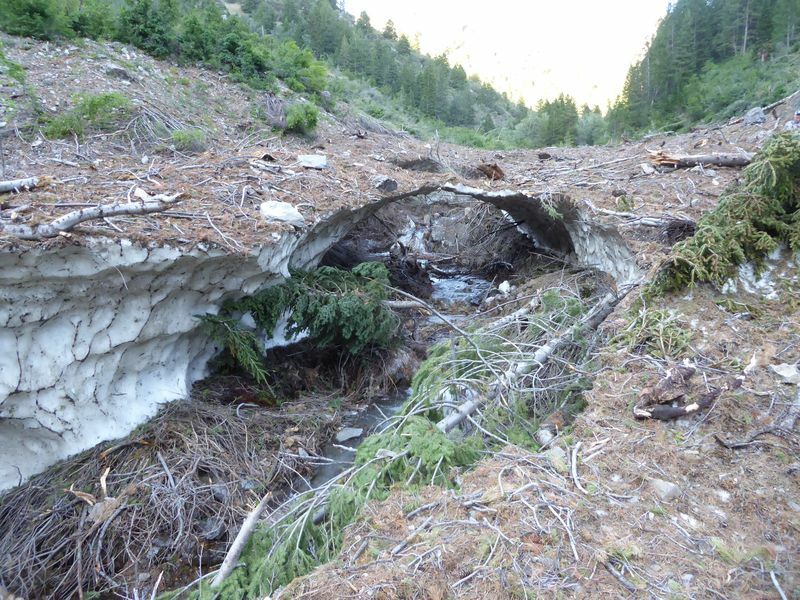 The sun soon appeared over the ridge and the hikers entered the grotto section of the canyon where they encountered the remains of an avalanche from last year. 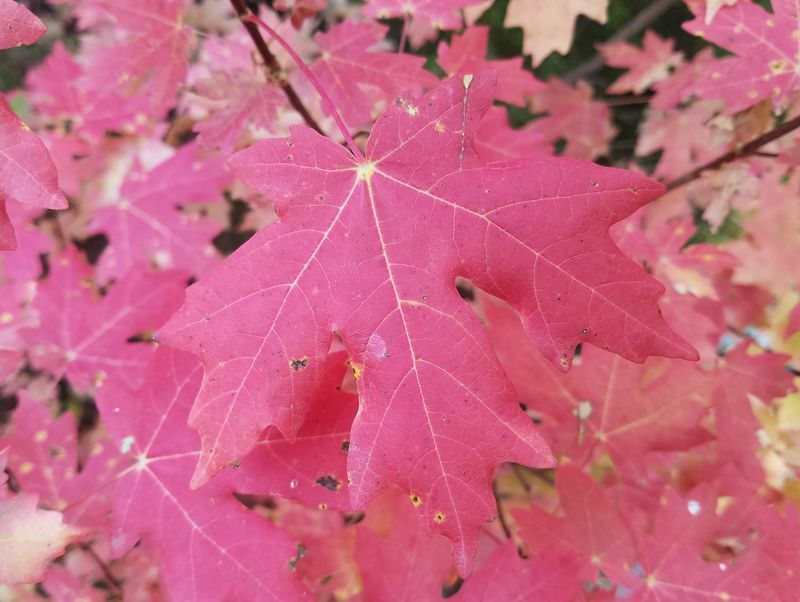 They paused frequently along the way to talk about the human and natural history of the area and to identify some birds, including the red breasted nuthatch, mountain chickadee and Clark's nutcracker. 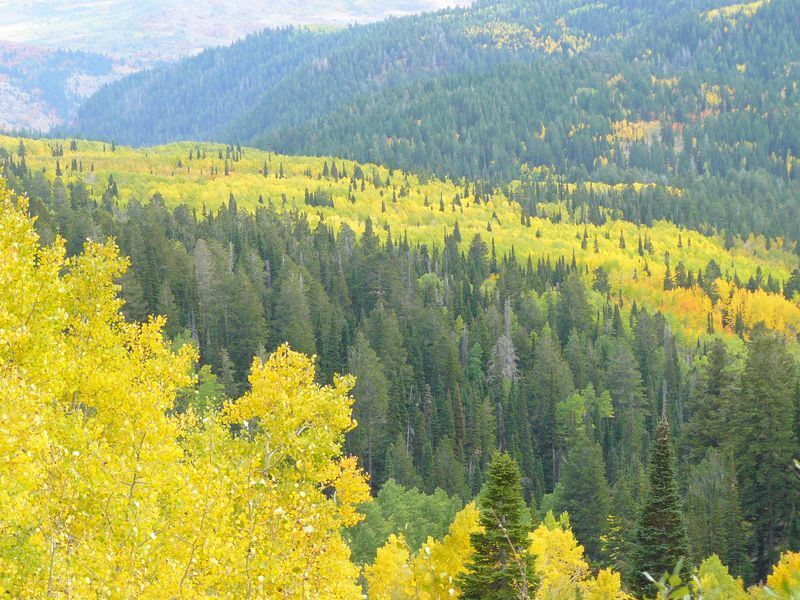 The trail eventually climbed on switchbacks, gaining altitude and offering views of Cherry Peak to the north. 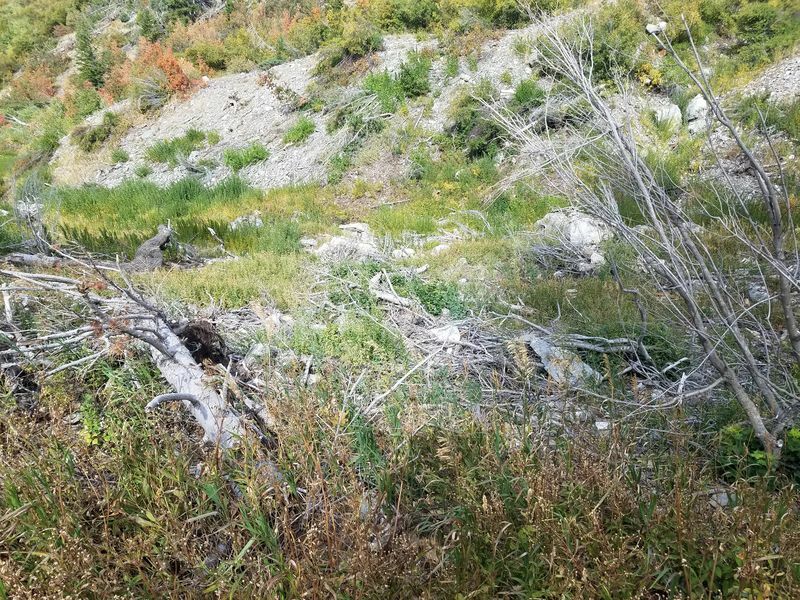 About 12:30 the two groups met about 1/2 mile below the saddle at the upper end of Smithfield Canyon. The drivers exchanged keys and the groups resumed hiking after eating lunch. 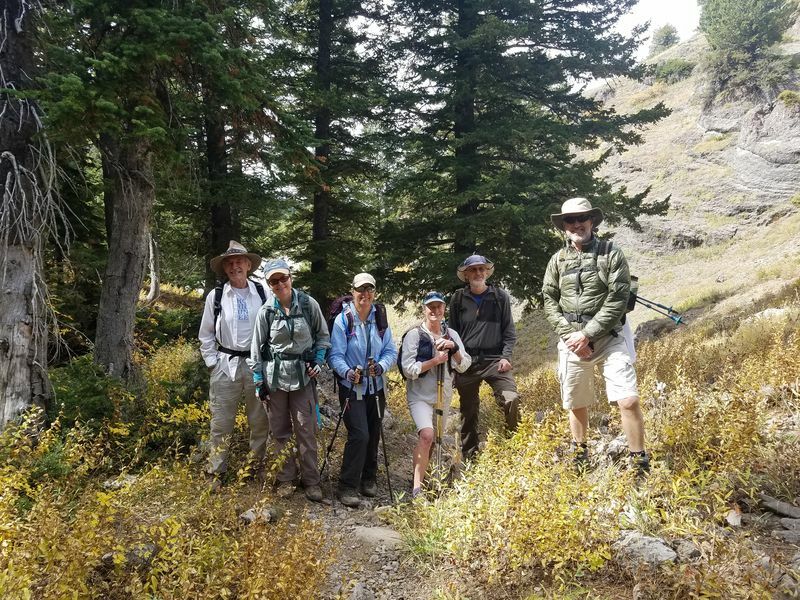 The Smithfield Canyon hikers climbed up to the saddle, east across the head of Cottonwood Canyon, then past Coldwater Spring and on to their car at the Tony Grove Back Country Trailhead. The Tony Grove hikers, Jane, Susan and Teresa, had started from the Back Country trailhead about 9:15. 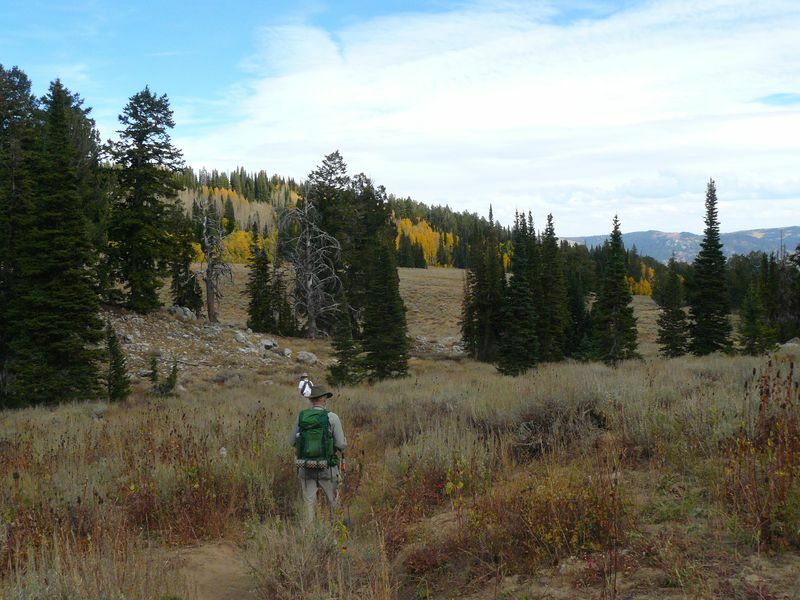 They headed up toward Coldwater Spring through mature conifers and colorful aspen trees (this portion of the trail will be part of the Bear 100 Endurance Run, scheduled for September 28, 2018). 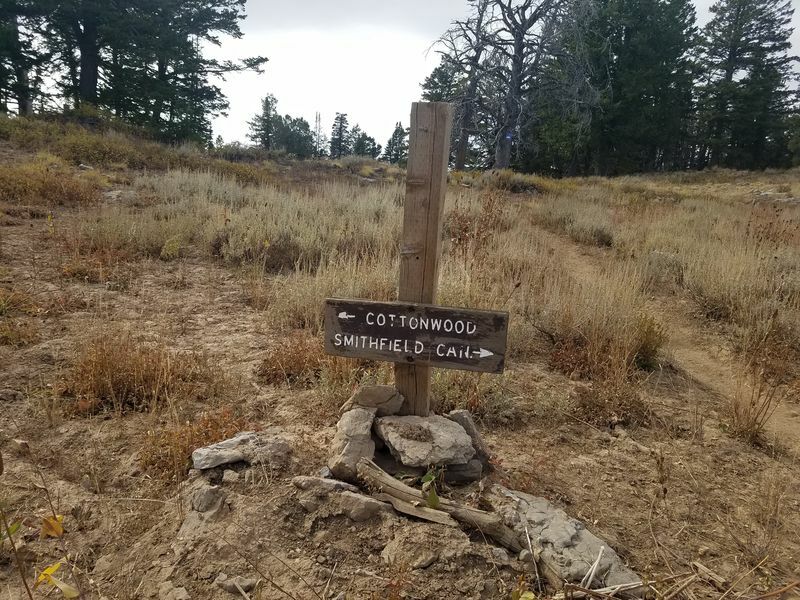 A trail sign at the Wilderness boundary east of Coldwater Spring shows the way toward Smithfield Canyon, but unwary hikers could be led down an unauthorized trail into Cottonwood Canyon instead. Our hikers went the right way, west across the head of Cottonwood Canyon and down Smithfield Canyon to meet the other hikers for lunch at 12:30. After lunch, Jack joined the Tony Grove hikers as they descended Smithfield Canyon to their car at the trailhead. Both groups returned to Logan about 5:00. 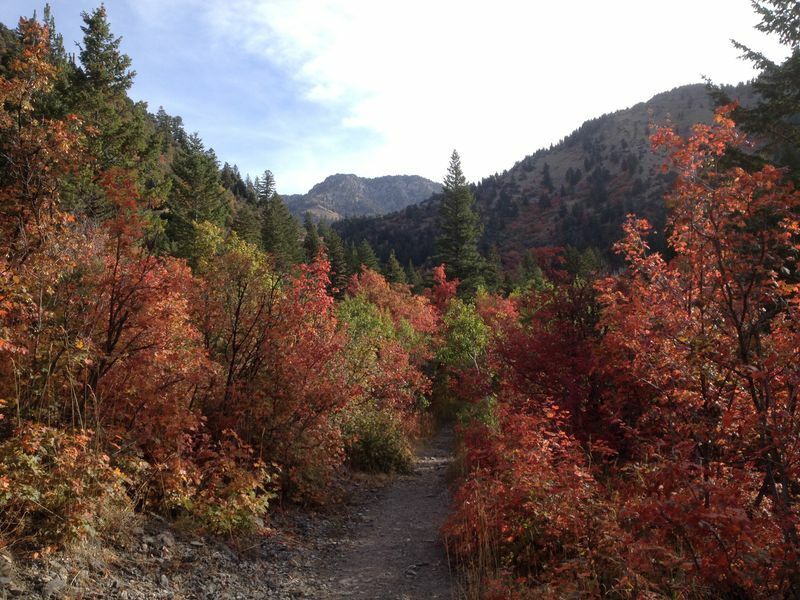 The hikers starting at Smithfield Canyon traveled about 8 miles with 3100 feet of ascent and 1200 feet descending. The Tony Grove hikers also traveled about 8 miles, but with 1200 feet of ascent and 3100 feet descending. Seven participants: Dave W., Jane, Dan, Susan, Teresa, Jack and Nick. 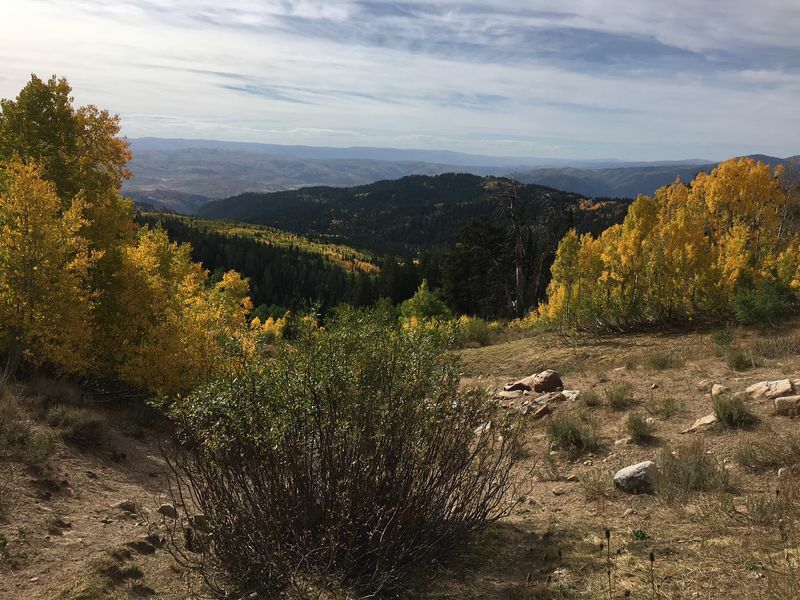 Three hikers drove 29 miles to the Tony Grove Back Country Trailhead and four hikers drove 14 miles to the Smithfield Canyon Trailhead. Each group started hiking shortly after 9:00 and met about 12:30 for lunch and exchanged keys. 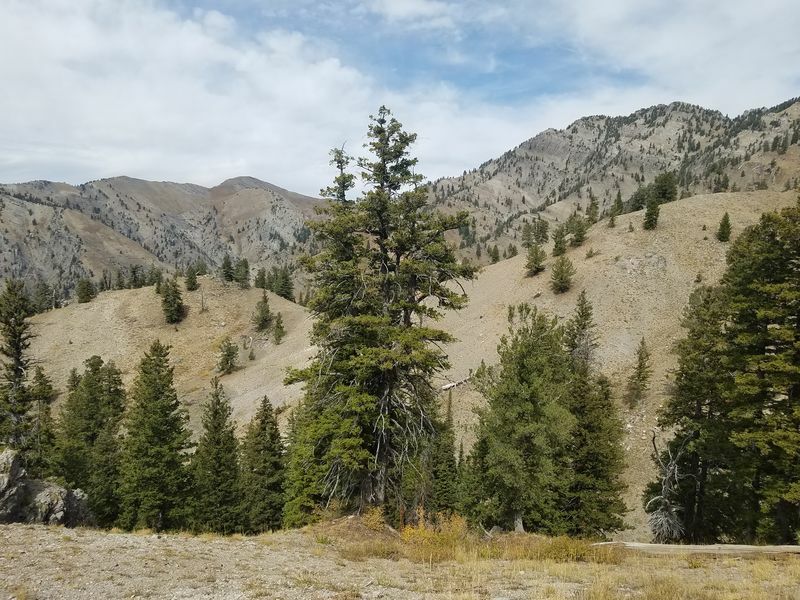 8 miles with 3100 feet of ascent and 1200 feet descending for the Smithfield Canyon hikers and 8 miles with 1200 feet of ascent and 3100 feet descending for the others. Thanks to Dan for the description and photos, Jane for photos and Dave for photos and the GPS data.